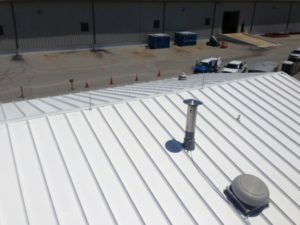 Client: NAVFAC Southeast – Kings Bay Naval Base, GA.
Project Description: This was a Double Security Site project by the water in Kings Bay, GA. Rehab, repair and the replacement of the Shadow-Rib metal to a rusted existing Coast Guard storage building. 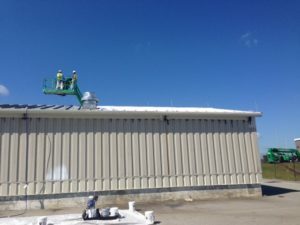 This included the walls around the building, roofing of the building, including doors, repairing and replacement of metal purlins (which could not be repaired), where needed. 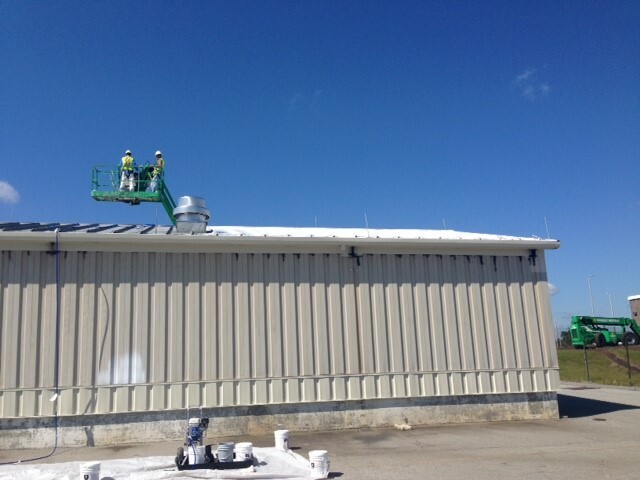 Dunmar’s solution to rehab the building was a huge cost savings to the Naval Base and Coast Guard. Dunmar followed up with an elastomeric coated roof and Bond Plex paint material on the walls and doors. 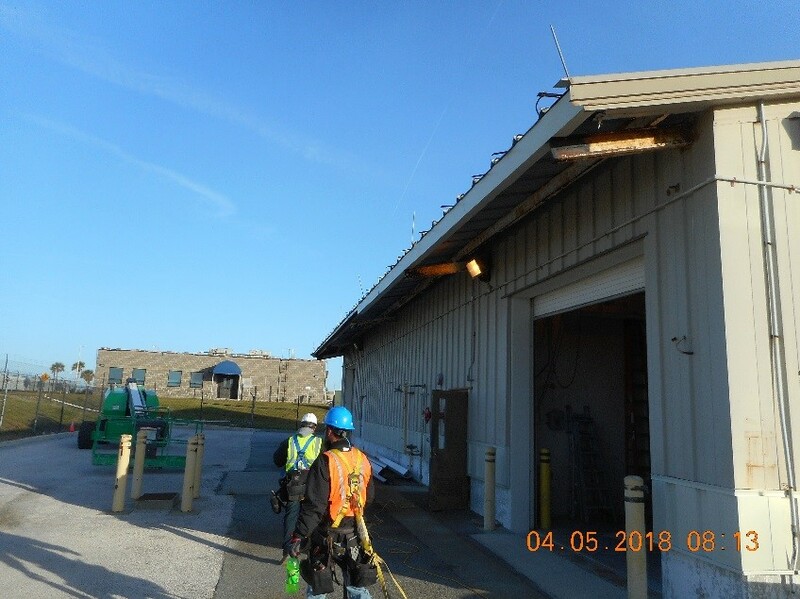 This work was ongoing without the building being shut down, so safety was a priority and maintained at the proper areas contained and guided by Dunmar staff.